Sterling Silver Celtic Triangular Knot Pendant w/Puppy Paw®. 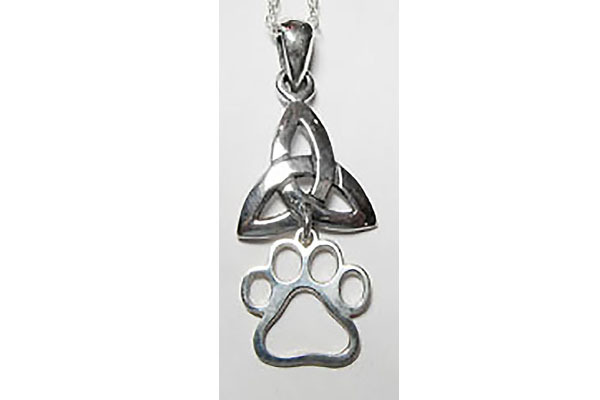 Sterling Silver Celtic pendant w/a charm size Puppy Paws® hanging from knot. Image is enlarged to show details approximately 1/2 w x 7/8 h comes w/an 18" sterling silver chain large bail to accommodate many chain sizes.